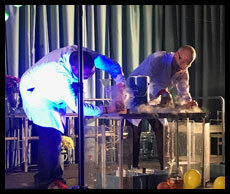 Once again the Science Department at Liskeard School and Community College have embraced National Science and Engineering Week in spectacular style with their annual Science Show. Mr Trudgett and Mr Inger presented a two hour long show which was dynamic and interesting and featured lots of new experiments such as the rainbow flames and elephant’s toothpaste alongside some of our regular favourites. The pair started on the theme of Energy by demonstrating the effects of cooling using liquid Nitrogen. Several lucky audience members were able to try a cryogenically frozen wotsit or some ice-cream made with liquid Nitrogen. On Thursday 7th March, Liskeard School and Community College challenged staff and students to come into school dressed as their favourite literary character to celebrate World Book Day. This resulted in some amazing outfits: from Gangsta Granny to Mary Poppins! 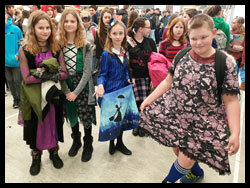 Certainly a favourite for the students were characters from books by Roald Dahl and David Walliams. Well done to all those who took part - everyone dressing up earned some precious house points. Two Sixth Form students at Liskeard School and Community College have impressed in the South West regional final of ARTiculation, a national public speaking competition that fosters interest in and debate about art and architecture. 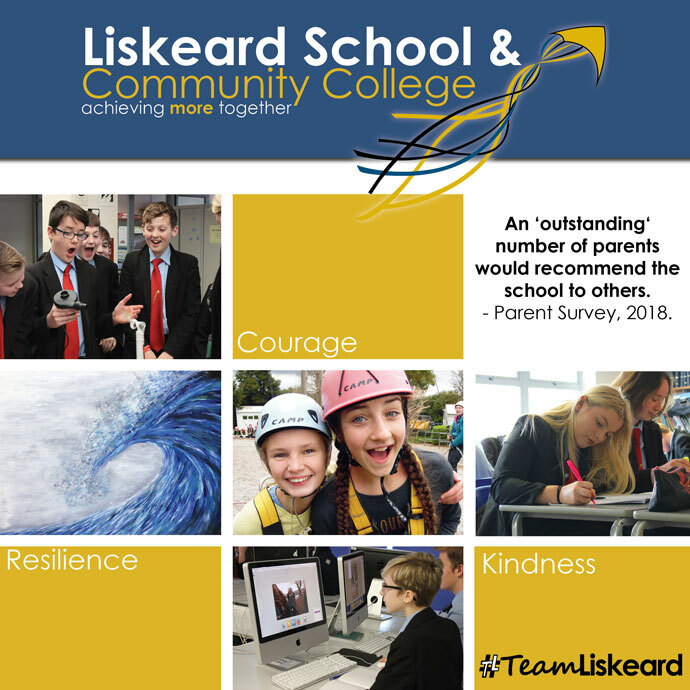 Students at Liskeard School and Community College have taken the first steps on a journey of physical activity that will see them taste a wide range of fun, inclusive sports and games over the coming months. 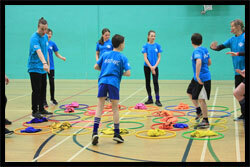 The 20-strong team – made up of Year 8 students – are taking part in Mencap’s Round the World Challenge, tracking sessions of exercise as a group in order to reach the 20-hour goal of the UK route they are undertaking.